What is iPhone Insurance and What are the Advantages? The Apple iPhone is by far the most popular smart phone currently being sold, as many users find that the iPhone is the perfect device to surf the internet, play games, watch movies, and enjoy the many features provided by the high quality smart phone. All in all, more iPhones are sold every year than any other single phone, and thus the iPhones are becoming more and more common. However, due to the fact that they are more common, they are also stolen much more often, and this is where the iPhone Insurance comes in handy. The insurance that owners can take out for their iPhone will provide them with coverage for anything that might happen to their phone. It doesn’t matter if the phone is lost, misplaced, damaged, stolen, or destroyed by an angry ex-girlfriend, the iPhone insurance provides owners with a way to recover their smart phone. The iPhone is fast becoming the most popular phone in the UK, but there are far too few phones that are covered by insurance around the country. Roughly 35% of all of the handsets in the country are not covered by any sort of insurance; meaning that all of the money invested in the phone will be lost should anything happen to it. Rather than letting the money spent on the costly device go to waste, it is much better to spend a few more pounds every month and take out an insurance that will protect the phone. There are companies that could provide cover for the iPhone loss, and that too is mostly for the users from the U.K. While not all insurance companies will provide the same amount of coverage for the iPhone, taking out nearly any form of insurance on the iPhone will be the best way to ensure that the phone can be replaced easily no matter what happens to it. Those who have all of their personal files stored on the iPhone may not be able to recover the actual files, but it will be a comfort to know that the device itself can be replaced at no extra cost to the owner. Apple directly provides a limited insurance once the user buys it, and that usually is for 1 year, and after that, there is nothing that can replace the cost if there is any damage occurred. More than 1.2 million phones are damaged beyond repair by water damage, and muggings in the country have increased by 30 percent according to the British Transport Police. Seeing as more than 60% of the people who own their cell phones carry their phone with them, the chance that a mugger will relieve a mark of their iPhone is highly likely. There are many things that could cause the iPhone to be damaged beyond repair, but taking out the insurance on the iPhone can provide the owner of the phone with peace of mind. Seeing as the phone is covered, all that the owner needs to do is switch out the SIM card for the one in their new phone and have all of their data at their fingertips. iPhone owners get an advantage of the upgrade option where they could upgrade to the latest version of the iPhone whenever it is launched, but they need to pay a sum for it. 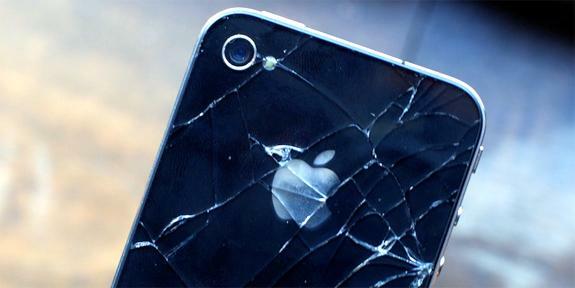 If at all the same phone is being used for longer time, having it insured is the best option. Along with the insurance, having a backup of the phone data is essential, and there are many apps which could be downloaded using the Apple app store and these apps could backup most of the phone internal data like the contacts, personal settings etc. Paul is a technical expert, and deals with the gadgets, especially the mobile phones and their insurance, especially the iPhone insurance, helping the users with the various insurance plans and coverage details.